This is not the newest or best camera Canon offers, but I found it to be a good balance of affordability, quality, and features. Two things were key for me when making my purchase decision, video capability and price. I wasn’t worried about image quality because that is a standard at this level of camera. I did compare with Nikon, but couldn’t get what I wanted for the same price and I already owned an older Canon Digital Rebel, so I had lenses and accessories. Along with my camera, I carry two lenses, the standard 18-55 mm kit lens and a Canon EF-S 55-250 mm lens. I also own an EF 75-300 mm lens, but prefer the versatility and size of the 55-250. Like everything else, there are other lenses I would like to have, but these do a great job for my purposes. I also have a 4 filter macro set by digital concepts that works great for macro photography. I don’t do enough to justify expenses macro lenses, and find these to be a great compromise. They have a convenient carry case and fit easily in my bag. 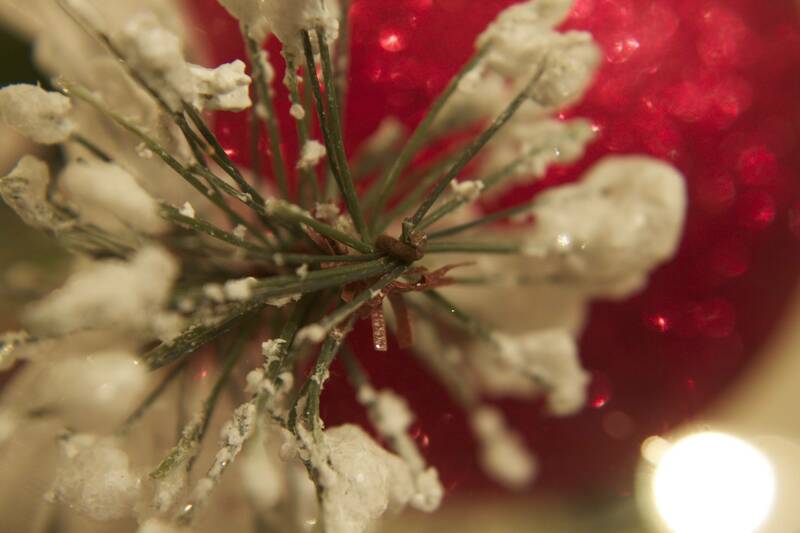 I have an example photo below I took of a branch on our Christmas tree this past year. Rounding out my bag are 2 spare batteries, charger, a micro fibre cleaning cloth, and a second SD card. All of it fit nicely in the Lowepro Fastpack 250. This backpack also has a compartment for my laptop and one that fits my iPad along with other misc items. I use this camera for both still photos and video. It has been used for our announcement videos and to capture highlights of events here at CapCity along with my own family events. Th picture quality is excellent and the various shooting modes and full manual features allow me to get the exact effects and look I desire from my photos. The full auto mode is very good and often all that is needed to get the right shot. It is easy to use and navigate the menus. Video is a little less intuitive, but still easy to use. The auto focus is a bit tricky at times, but once you get use to it, it is fine. The audio quality is good for a built-in mic. As with any device with a built in mic, unwanted noise from moving the camera, focusing, and “casing” noise from handling the camera can make their way onto the video. Again, after knowing this and getting used to what causes this noise, this can be overcome. I have also included a partial clip of a video shot in front of the White House last year. The audio quality is very good given the background noise, wind, and built-in mic. I am not an expert by any stretch, but I love photography and have even sold some of my photos on iStockPhoto.com. You can see more by clicking on my Flickr stream on the bottom right of this page. That said, feel free to ask any questions you may have.